Renaissance Robotics is a truly inclusive and eclectic team and, as such, welcomes and values participation from people of different faiths, religions, lack of same, races, ethnicities, family composition, sexual orientation, gender identity, diets, vaccination status, abilities or disabilities, curriculum choices, learning styles and education styles. 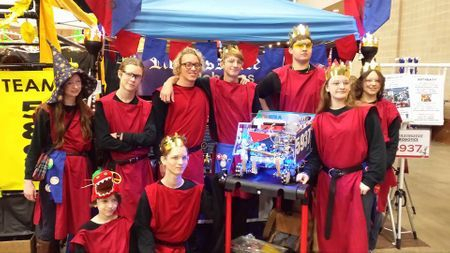 Renaissance Robotics is a co-ed community based team with the majority of members being current or previously homeschooled students. Promote FIRST through outreach and mentoring. Uphold the Core Values in all we do. The Monty Python-esque cheers are designed to make you think and ask us questions. • We do the work to get the job done with guidance from our Coaches and Mentors. • What we learn is more important than what we win. • We display Gracious Professionalism in everything we do. • We encourage others to adopt these values. Renaissance Robotics has been blessed with the support of local businesses. Both our team mascots were gifts from great businesses that we are proud to count among our supporters. Bob is our "Safety Mascot" and our reminder to always wear our safety glasses. Bob was given to us by AEO Studios back in 2010 when we needed a prop for our FIRST LEGO LEAGUE skit for the "Body Forward" season. What we didn't know was that "Bob" would be an instant hit with other teams. Everyone would stop us to ask why we had a severed arm and we'd end up discussing robots, video games and other stuff. Our coach had to stop and explain when another kid was asking their coach, "Why don't we have a severed arm?" That coach was understandably really confused, since she hadn't seen us with the severed arm prop. Since then, we have had "Bob the Severed Arm" at every robotics tournament we have competed in. It's funny when we do demos and don't have Bob with us, we'll inevitably end up with someone we've competed against in tournaments coming up and asking about it. AEO Studios has always been great about supporting our team and encouraging us each year. We were THRILLED when they asked us to help with their latest theatrical endeavor - Nightmares at the Majestic. We are gaining REAL WORLD experience with robotics, animatronics, set building, theatre, business plans, blue prints and more! 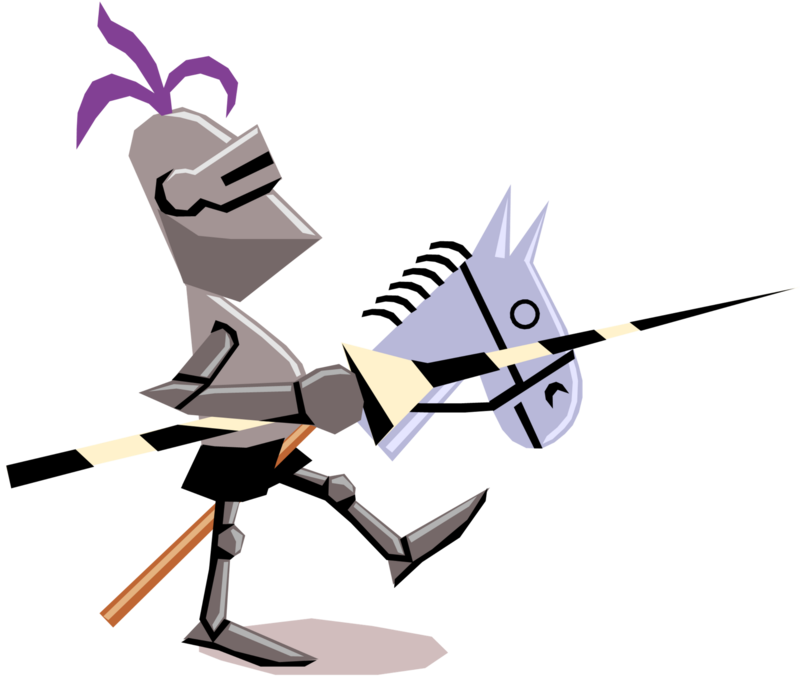 Sir FIRST reminds us to always behave in a chivalrous manner - what FIRST calls Gracious Professionalism. Ronnda of Adorable Yard Art noticed the messages on Apopka Attic and asked how she could support the team. She made our wooden Sir FIRST and our Sponsor Shield. More important than the gifts she gave the team, is the lesson Ronnda taught us. She's a great inspiration to never give up on your dreams. She remains one of our biggest cheerleaders! Apopka Attic is a facebook group that we started to sell items on to raise money to pay for our teams expenses. We wanted to do something that would also give back to the community. We envisioned a place where a handful of people would sell their unwanted items to earn a couple of extra bucks and keep usable items out of the landfills - basically an ongoing virtual garage sale. The site has far exceeded our expectations for the number of users we thought we'd have. There are now over 11,000 users of Apopka Attic.